Diana American Grill draws on the heritage of great theater district restaurants where people can relax and eat well before a great show. The restaurant is named as a tribute to Diana Hobby, whose vision was essential in bringing the Hobby Center to life. 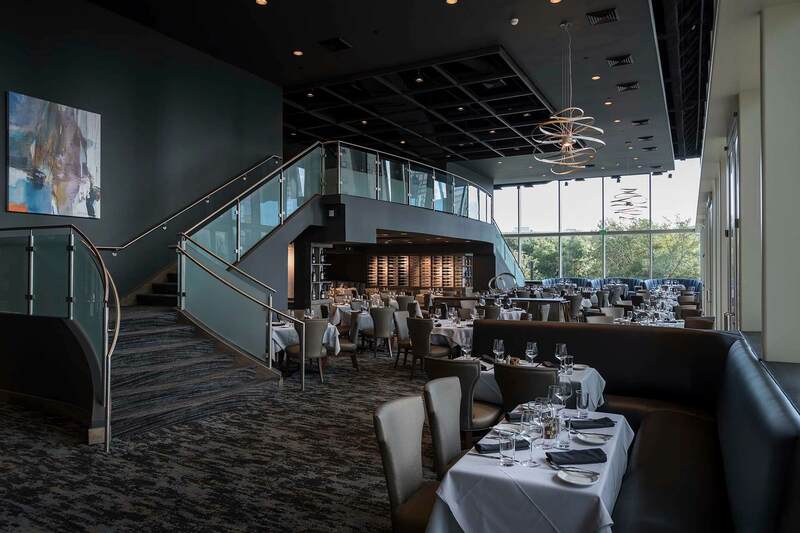 The dining room at Diana American Grill is relaxed and comfortable with a spectacular view of downtown Houston. The menu, devised by Robert Del Grande of Cafe Annie, focuses on the best ingredients, precisely cooked and thoughtfully embellished. Simple and elegant is the goal of the kitchen. Chef de Cuisine Mason Denton leads the kitchen team, and Marcello Liberona directs the service staff and oversees the wine list and cocktail program. Diana Poteat Hobby, 1931-2014, was a devoted patron of literary and performing art forms. The Hobby Center programs in literature, drama and music, especially by local artists in smaller spaces, were among her greatest joys. Diana came to Texas as a young bride from her family farm in North Carolina. In addition to sharing the humanities through art, nothing gave her more pleasure than serving fresh vegetables from her garden and sharing the bounty of her orchard with her family and friends. She would be honored that her legacy of gracious hospitality lives on at the Hobby Center.